Arab brides have endless options and choices when it comes to finding their dream wedding dress. In Saudi Arabia, not only are their so many amazing boutiques and bridal shops that offer a wide variety of bridal wear, but there are also some very talented fashion designers that are becoming known worldwide. 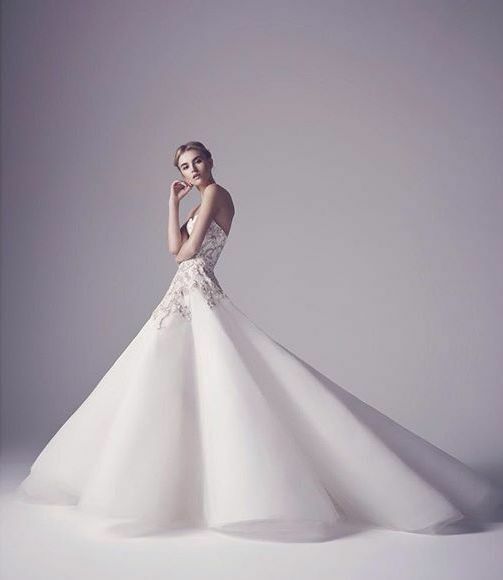 "The Top 4 Wedding Dress Shops in Jeddah"
"The Top Wedding Dress Shops in Riyadh"
Saudi fashion designers are proving that they are talented, creative, and professional, and they have become some of the top fashion designers in wedding dresses. Mohammed Ashi: This Saudi fashion designer made it to Hollywood in no time with his amazing designs, Ashi worked with many celebrities such as Lady Gaga. Razan Alazzouni: Razan is known for her super feminine designs, she is loved by many Arab females and knows exactly what the modern Arab bride wants. Check out our interview with the talented Razan here! Reem Faisal: Reem loves to create unique and unexpected wedding dresses, with feminine and delicate touches. Read our exclusive interview with Reem Faisal here! Mashael Al Faris: Known for her love of classic designs and fashion, Mashael creates timeless wedding dresses for her special clients.